the next name day feast for our family is December 6th, St Nicolas day. this just may be my favorite feast all year! St Nicolas Day was my introduction to celebrating the church year. while i lived in San Diego i attended St Paul’s. one week the Sunday school speaker was Gertrud Mueller Nelson. she was there to tell us stories of St Nicolas. but she didn’t come empty handed. she had made gingerbread cookies for us–in the shape of the bishop himself and tied with red ribbon. and as she handed out the cookies she told us stories in hushed, excited tones. stories of children rescued and gifts bestowed. she told of lighting candles on the Advent wreath each week, of not decorating the Christmas tree until Christmas Eve. she told of life-giving ways of approaching the mystery of God with us. i was enraptured. her house sounded like a blessed place to grow up. i read her book called To Dance With God: Family Ritual and Community Celebration. the book tells all the same stories from St Nicolas Day as well as celebrations from the rest of the church year and major saint days. it even has the recipe for the gingerbread cookies! our family does not follow all of her suggestions; we get our tree on December 6th! but her tone and focus sustain me. the idea that our physical world–what we eat and wear and make–can connect us to and be a reflection of the spiritual world is a powerful pattern to follow. p.s. tomorrow, October 4th, is the Feast of St Francis…here are links to our celebrations in 2010 and 2012 where you can find stories and ideas for your own celebrations! …a very good place to start! 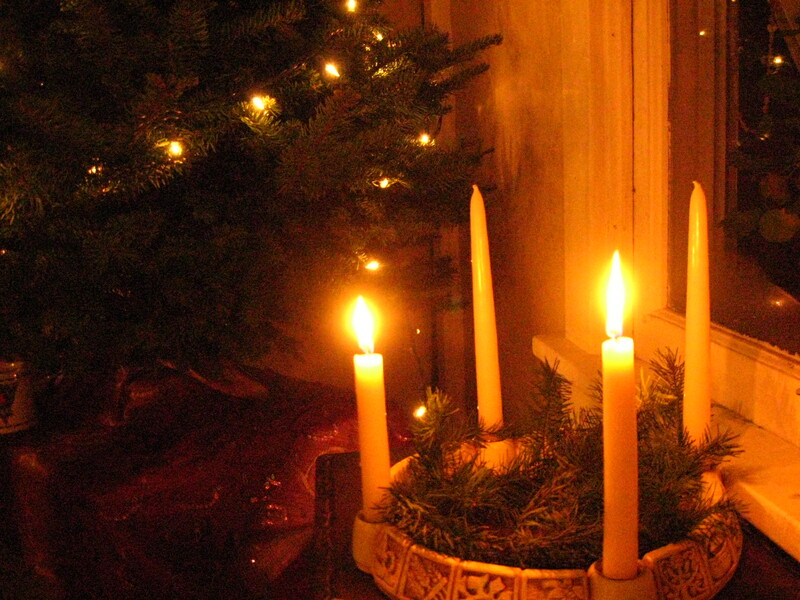 Advent encompasses the four Sundays before December 25th. but because Christmas doesn’t always fall on the same day of the week, the date of the first day of Advent also changes. this year it’s easy; Advent begins on December 1.
in our family we begin the keeping of Advent on November 30th because that’s St Andrew’s Day. St Andrew’s marks a season of name day celebrations for us. in the next few days, we’ll visit a few other saints as well. but for now here are a few simple ways to celebrate St Andrew’s Day and welcome Advent. food— St Andrew was a fisherman, so fish is always appropriate. we usually make fish tacos. Andrew is also the patron saint of Scotland, so anything with oats would be a wonderful addition: oatmeal for breakfast or apple crisp for dessert! 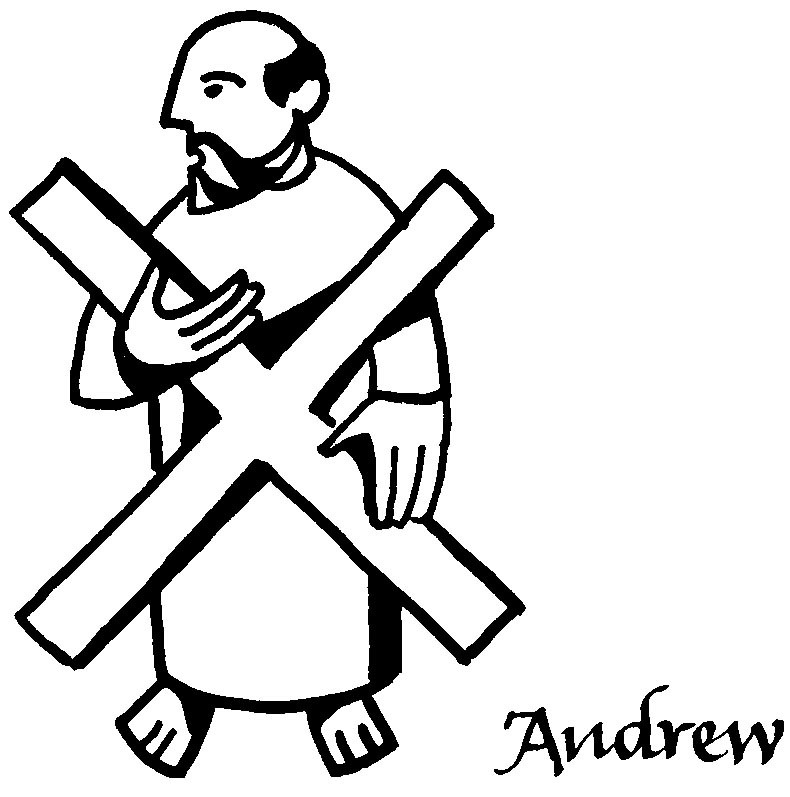 story–St Andrew was the first disciple called. you can read the story from Matthew 4. 18-20. “And they straightway left their nets and followed him.” straightway! a few years ago i was taking to a friend about my work as a mama. i said it was like i was the novice master in a monastery. mine was the job to make sure these children learned the customs of the house, learned to heed the seasons and keep the feasts and fasts, learned to pray and to work. and it still seems like such an apt metaphor for my work as a homeschooler and my wider work as a mother. for the next thirty-one days, i want to write about the ways our family observes Advent, the life-giving ways we have found to welcome the new one in our midst. these practices are particular to our season of life: a family with young. but i hope you can find patterns–ways of opening yourself to the circle of the year as the days darken. the light is coming. watch! as we travel through the thirty-one days of keeping Advent, you’ll have time to ponder and gather, time to remember and prepare! you can find each of the posts on the keeping Advent page (just under the blog title!). and each day’s post will have the keeping advent button. you can click it to find all of the posts too! isn’t that awful? though i’m shy to admit it, it really is true. each year during the month of October, The Nester hosts a link up challenging bloggers to write on a single topic for 31 days. since i’m showing up more often on the blog anyways, i thought i’d like to write about keeping Advent. last week over at The Nester’s place, there was talk of buttons–the nifty graphics that can lead you new places. in the comments, a woman named Katana offered her services as a button maker! then she sweetened the deal by offering two readers free buttons. and i won! this is her lovely work. she’ll be writing about bringing real art into your home, so be sure to head over and take a look! i will be back tomorrow to start our adventure. are you ready?